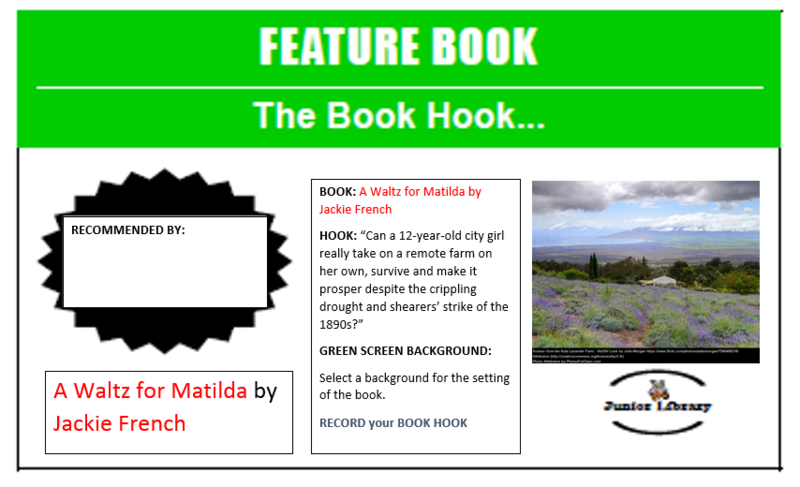 This term interested student have created a Book Hook using the Green Screen, some creativity and the iPad app Green Screen by DoInk. The process involved 4 steps. 1) Select your book and decide how to “sell” your book. 2) Take a photo of what you want as your background (to replace the green screen) using the CAMERA app. 3) Record your video using CAMERA app. 4) Open the GREEN SCREEN app and add the photo and then the video. See the book hooks created by the students below (support was provided in the actual process). For the month of September we are going to take a slightly different approach to the physical swapping of stories and instead swap stories by swapping the author and writer of the story in a Junior School progressive story writing attempt. 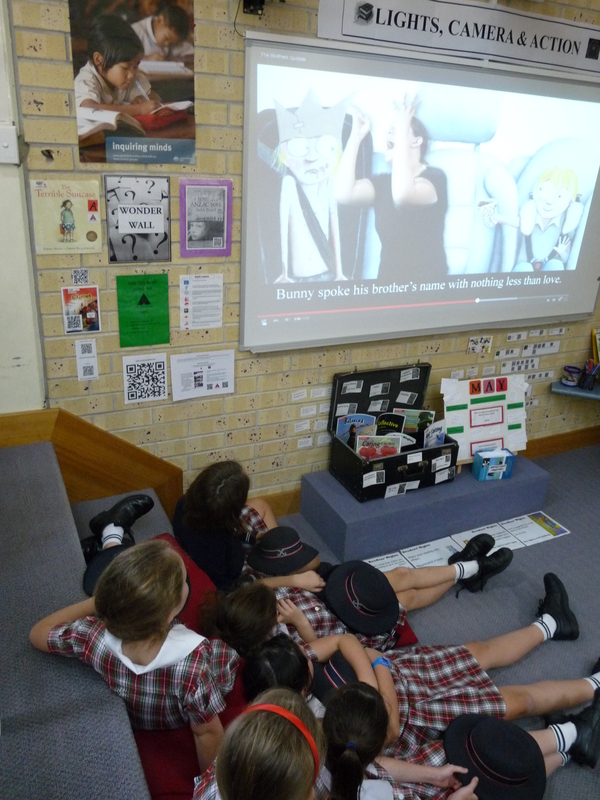 As each class comes to the library for their library session, they will add to the story prompt (one line per class). We are going to add to the story starter the “Blue Monster Story Starter”. 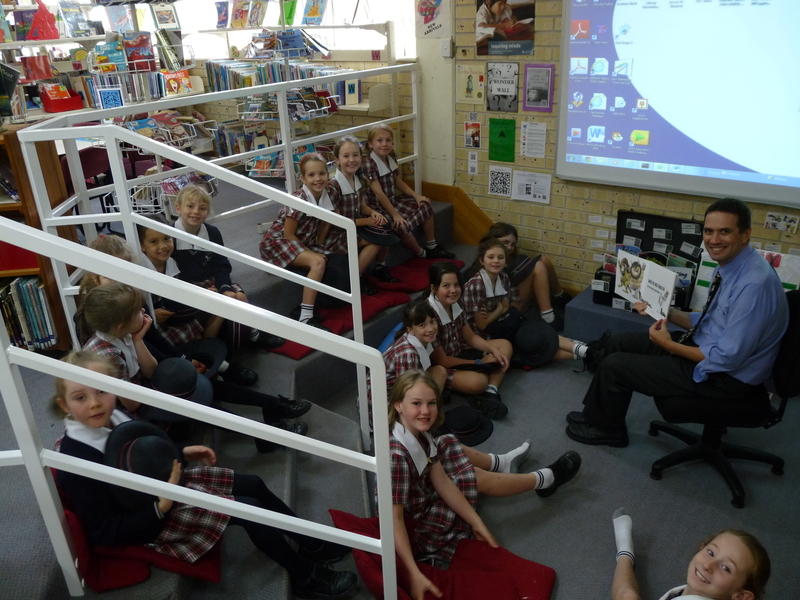 This story will be available via a collaborative document (and on the JS Library OPAC home page) and via a hard copy. The first monster story that comes to mind is the classic Where the Wild Things Are by Maurice Sendak. There are many apps that allow to you create (and then swap stories). One of these is the Write About app. See the website link for more information about the event. 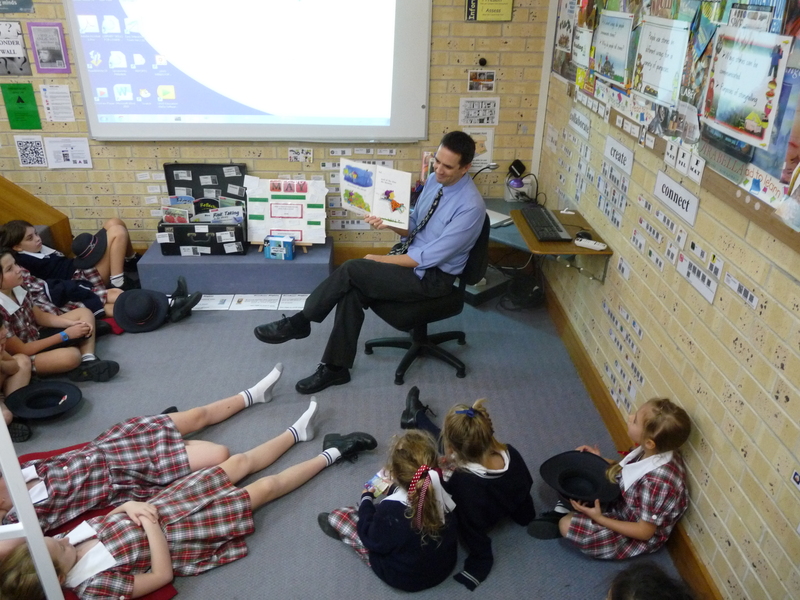 Yesterday, we celebrated NATIONAL SIMULTANEOUS STORYTIME for the first time. 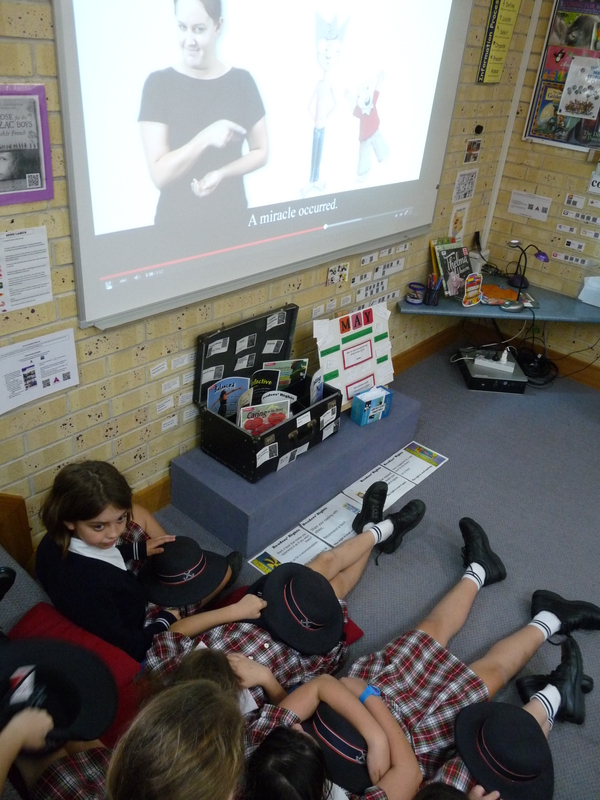 The AUSLAN translator was very animated and funny. This added to the viewing of the story. 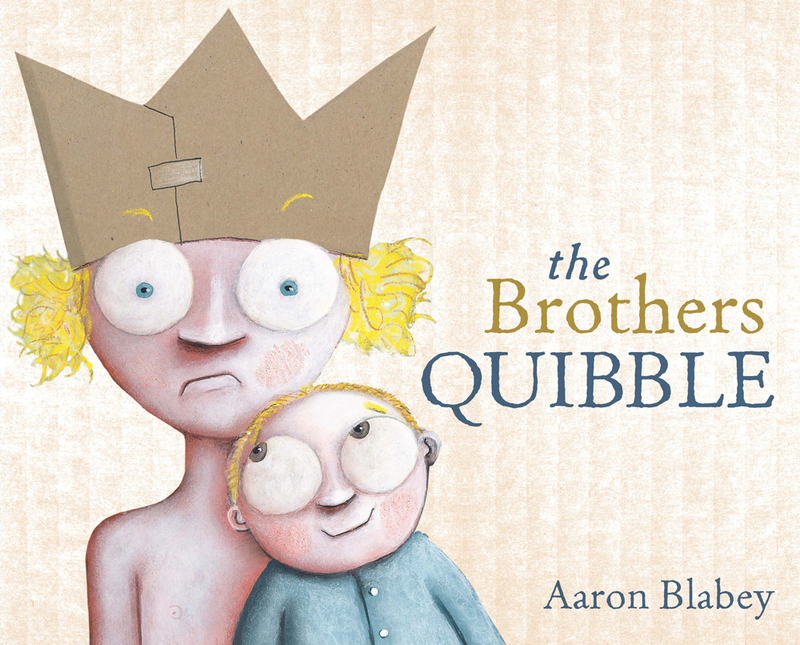 The Brothers Quibble from Story Box Library on Vimeo. 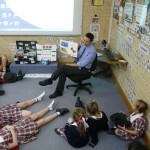 A Year 3 classroom teacher (Mr Dalby) had eagerly offered to share and read during this time. Emily Loves To Bounce (actually anything by Stephen Michael King is high on his list). 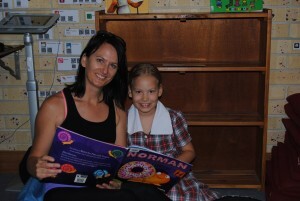 It was lovely to see the students enjoying the simple pleasure of being read to. Thanks to those who participated in the event and we hope to make it an annual event. See more books by Aaron Blabey. 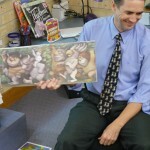 One of his books is Thelma the Unicorn (which is one of the books we have identified as being a BEST READ ALOUD BOOK) . Hear him reading it below. Which book would you read to the world? 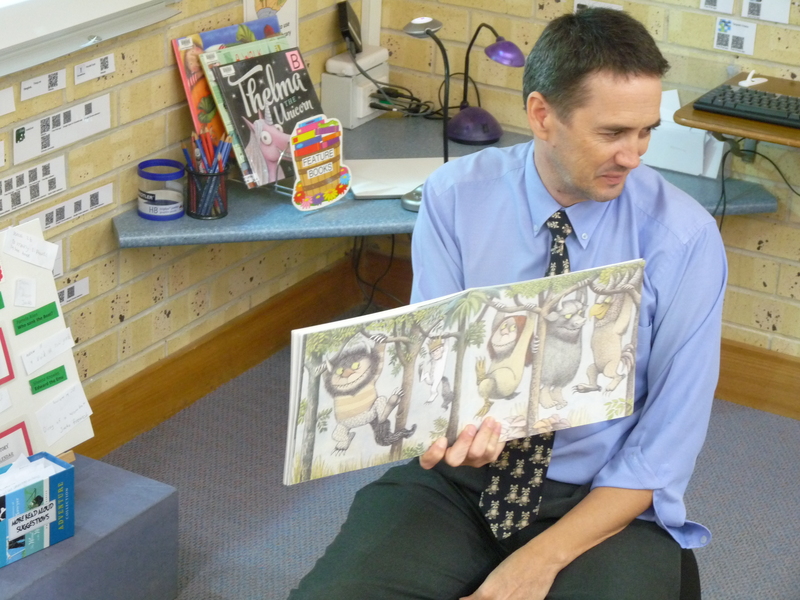 The Share a Story theme for May is perfect for an IB and PYP school. 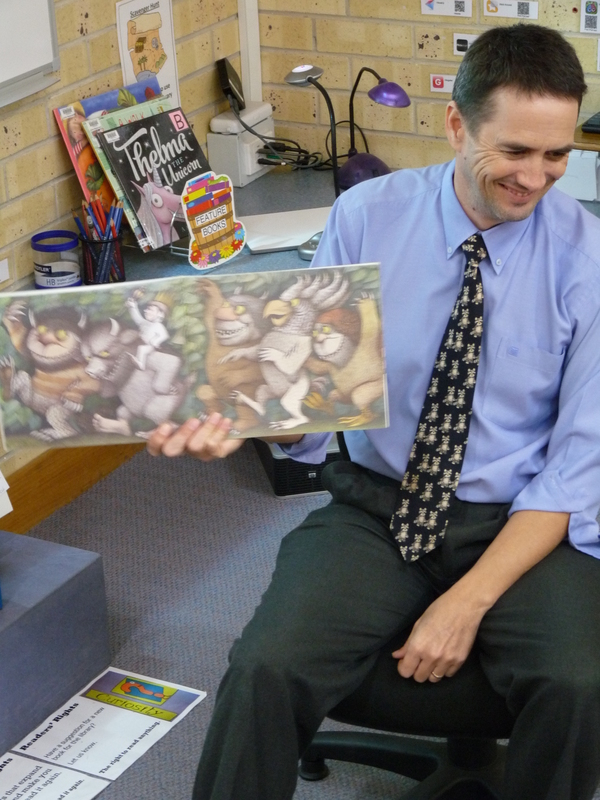 Looking through the lens of Internationalism, PYP and picture books we examine literature that develops the IB Concepts, Learner Profile and Attitudes. We have many of these books in our library. Which have you read? A couple of my favourites are Mirror (because of the uniqueness of the layout and the dual story) and The Island (specifically because of the power of the illustrations). Another two I recommend are If the World were a Village and We Are All Born Free (although we have these in our Non-Fiction collection). Q: What is your favourite (picture book) story? 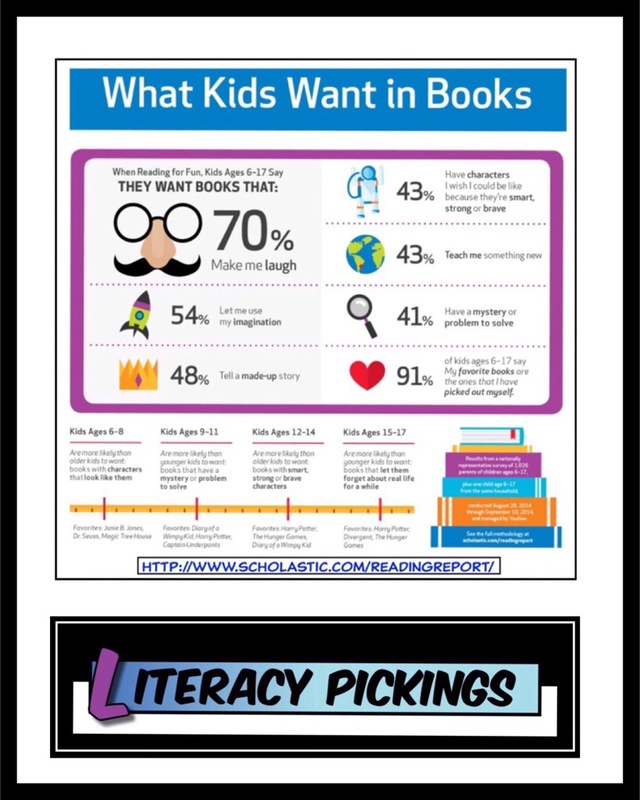 We will be surveying and voting for our Top 10 Picture Book Read Alouds. 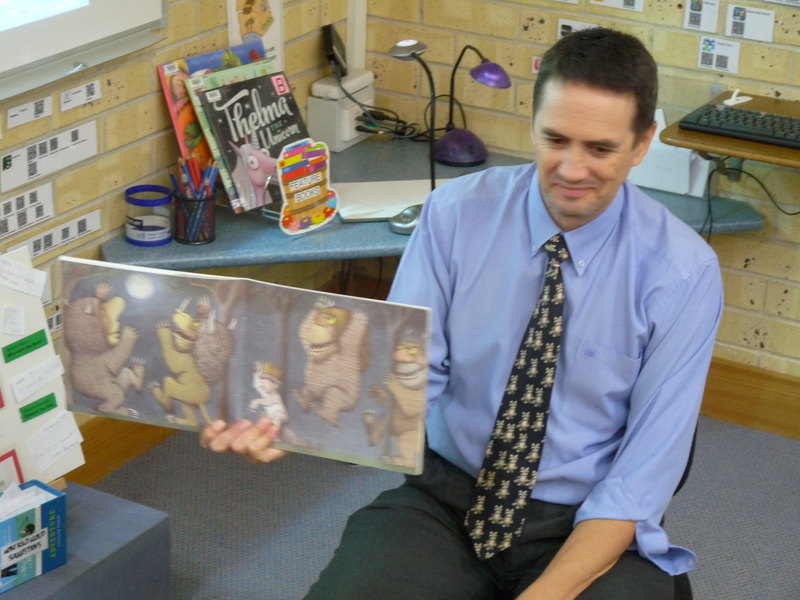 Another fantastic way to celebrate reading is through the national event of simultaneous storytime where students around Australia read the same book, on the same day (… at the same time). 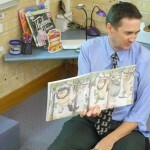 On May 27th we will be celebrating National Simultaneous Storytime. 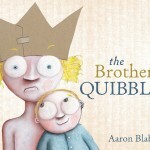 The book this year is The Brothers Quibble by Aaron Blabey. Activity ideas for NSS 2015. 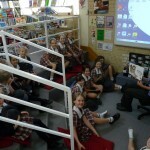 In the JS Library we also be promoting this through the Feature Books. 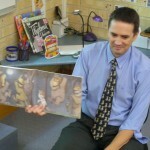 During the term we will be re-reading (and for some introducing) the picture books that have featured over the years. So, What story would you share with someone else? Feel free to share below. Thumbnail image reproduced with permission. Screenshot sourced from the report above and redesigned using ComicBook app. 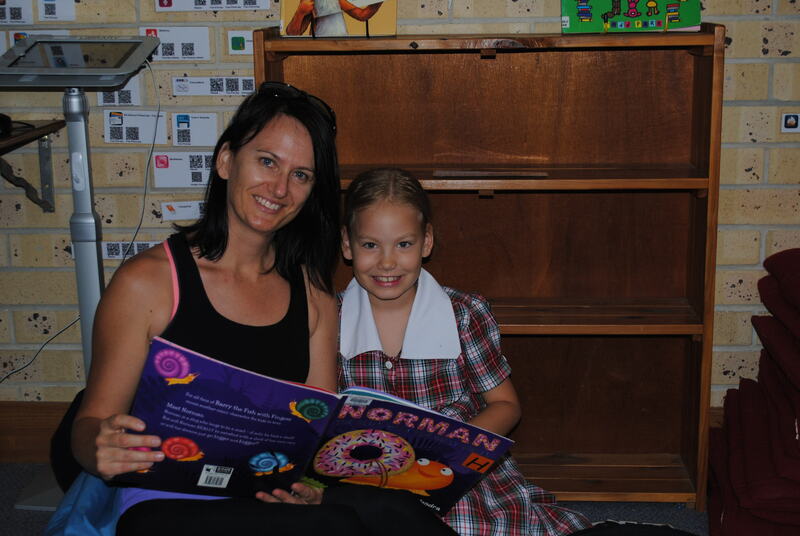 We offer parents the opportunity to be members of our school library. 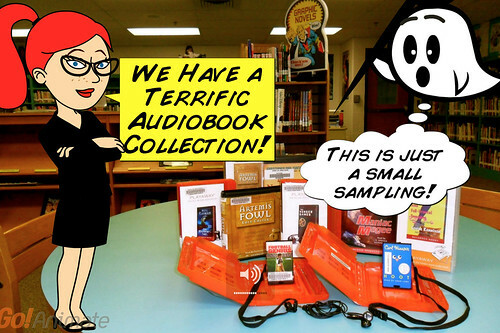 We have some parent specific resources in the Parent Library collection as well as resources from the general collection. Please see the JS Library staff to complete your borrower application.